Could go for some egg rolls right now. I'll take some orange chikken. Hey Ruckus! Is that a Panda on your head?? BOL! So cute! 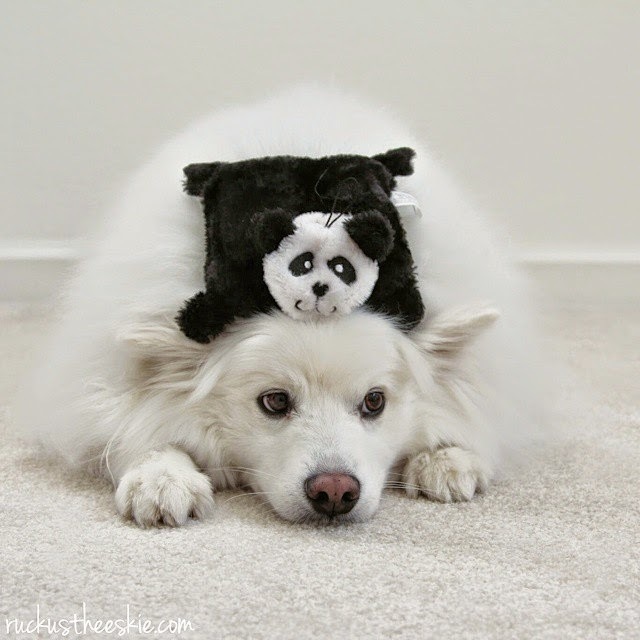 Panda looks more comfortable than Ruckus! Sepia Saturday #113: Any Big Fights Upcoming? Sepia Saturday #111: Happy Lunar New Year 2016!